Universal Fuel sender unit. 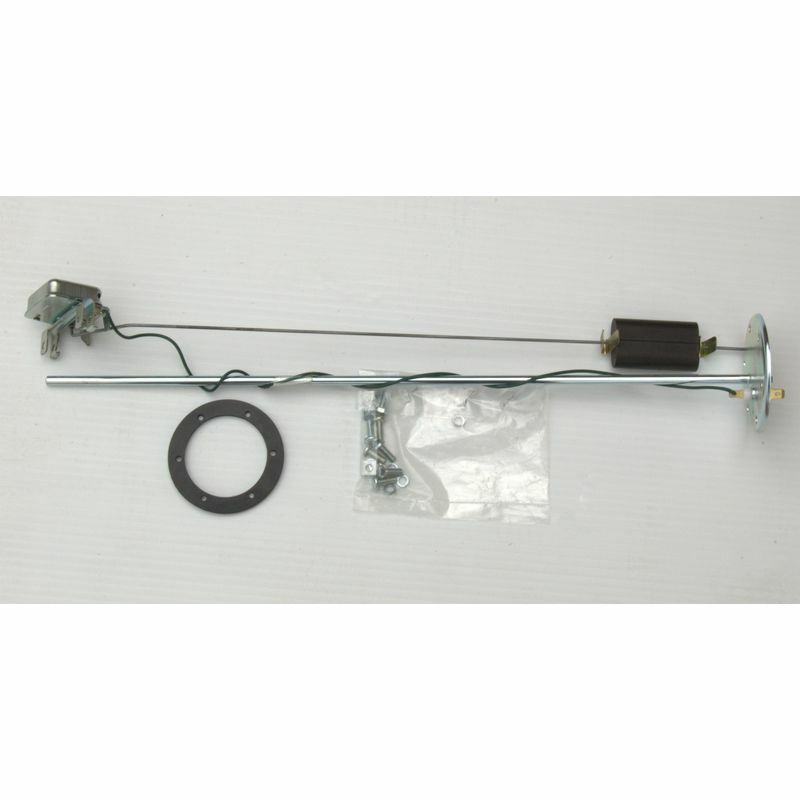 The body of this unit has the normal 6 screw attachment to the fuel tank as used on TR2-6. The arm can be adjusted for height and reach to suit various tank dimensions. This sender unit should be considers wether you have a standard tank or an extra capacity tank as you will enjoy the benefits of more accurate fuel tank contents reading on your fuel gauge. The characteristics of this sender unit can be varied in two ways. The sender part has a vertical post along which the moving arm can be positioned. This adjustment will take account of various tank depths. The length of the swinging arm with the float on it can be varied to ensure full and empty readings are accurate. 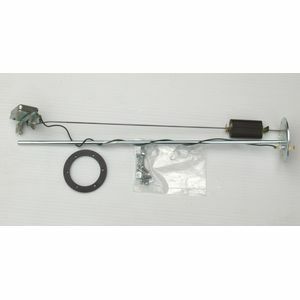 This sender unit is used to drive TR2-3B modern fuel gauge part of kit RTR8564NK. Revington TR information: This excellent jointing compound is supplied in a tin with an applicator brush. 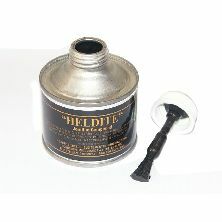 Heldite provides a perfect gas and fluid seal. Not available to Customer outside of the UK.